PayRange brings mobile payments to New York City vending machines. Innovate in your break room with advanced vending machine technology. We invest in the software and equipment that will most enhance the vending machine experience in and around New York City. 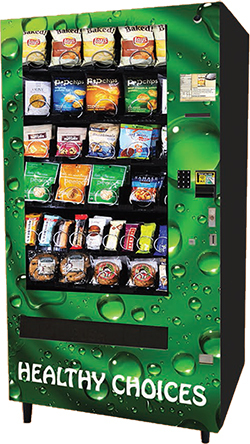 The latest in beverage vending machines and snack vending machines delivered to your business. We install PayRange on vending machines to allow for quick and secure mobile payments. Opt for a vending machine that accepts traditional credit and debit cards, as well as cash. With cashless readers or PayRange, our vending machines allow for the convenience of buying with a mobile device. 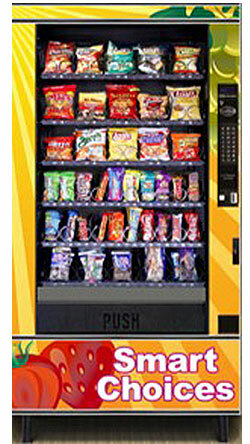 We use LEDs to save energy in the vending machine as well as make the snacks and beverages pop. A pick-to-light warehouse system helps us deliver just the snacks, food and beverages your location needs. Built-in infrared sensors detect when a product falls. If not, money is refunded automatically. Vendrite strives to reduce our carbon footprint with lighter vehicle loads to recycling initiatives. Have an issue? Reach someone at Vendrite any time of day or night - guaranteed! Make the vending machines your own, with custom fronts. 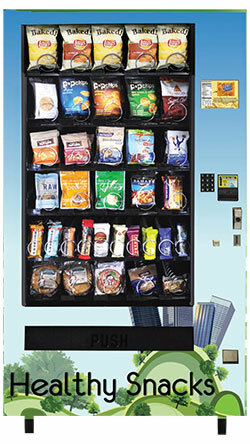 We can brand the vending machine with corporate logos or other images to enhance the break room ambience. to your location quicker and more efficient. Vendrite specializes in offering sophisticated and premium services to New York area businesses. Whether it’s vending machines in your corporate breakroom, turnkey coffee solutions or a micro-market that revitalizes your corporate culture, Vendrite should be you break room solution of choice.